To enter the Swiss Chocolat giveaway, click here. To check out the Art Jewelry Elements blog hop, click here. Today I have a real treat for folks that enjoy some eye candy with your weekend. I am participating in two jewelry blog hops today and you of course can still enter the giveaway for the chocolate. Don't we all dream of the warm weather and sun of the summer when all we are getting is the cold and grey of winter? 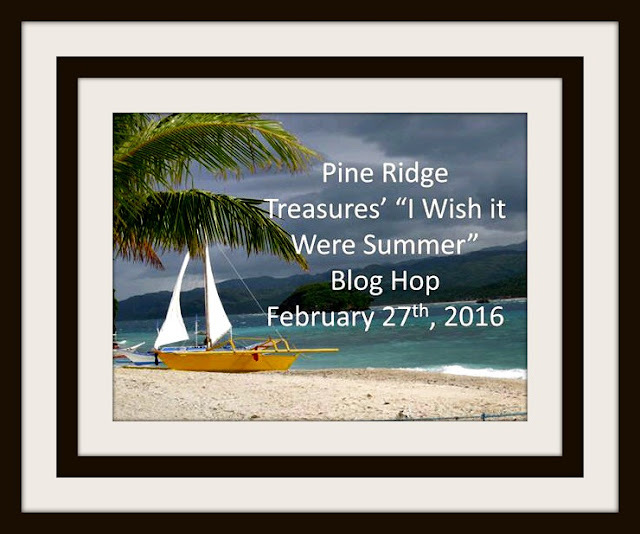 I know that I am guilty of it so when Lisa of Pine Ridge Treasures suggested a blog hop around this theme, I was all in. Lisa sent us all a kit of supplies and she was so generous that I have a lot of them left but I did make a couple necklaces. Today I am just going to let my pictures speak for themselves as I am struggling with a nasty headache and being on the computer is not helping. Now that you have seen my offerings to summer, be sure to check out what everyone else has come up with. That is a great focal Shai. Your necklace really does speak summer. 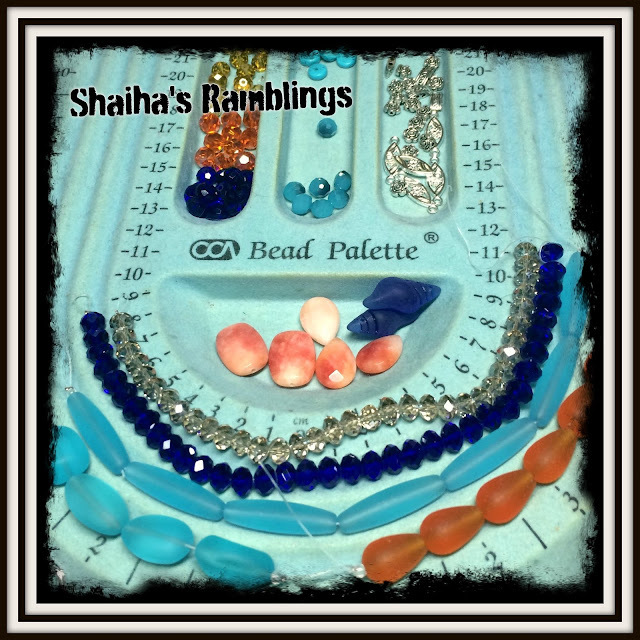 I am loving both of your necklaces, Shaiha! I really love the silver shell pendant. 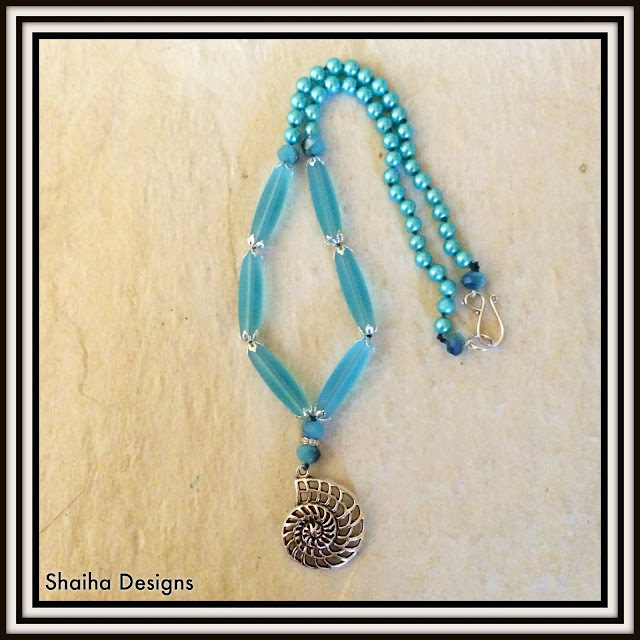 It is "just right" for the design of the necklace. I also like the fishbone beads in necklace #1. Thanks for being in the hop. I hope your headache goes away pronto! 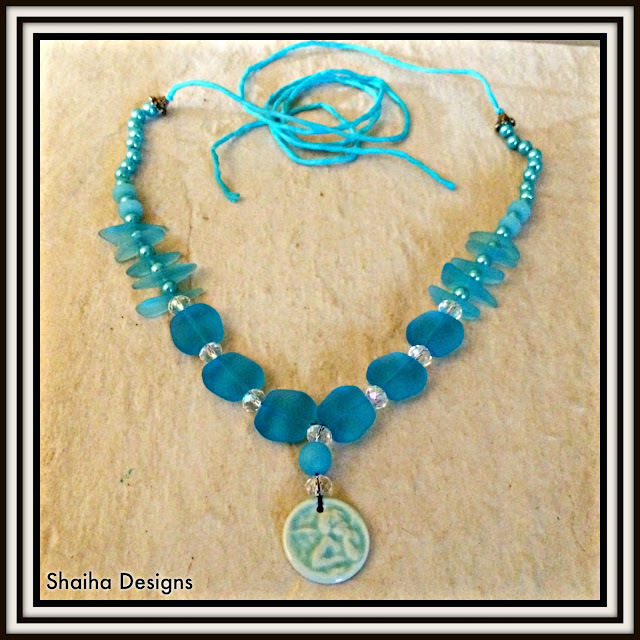 wonderful necklaces! Love the pendants you added to each too! I hope you are feeling better tonight. They're gorgeous!!! I agree with Becky...you focal pieces are fabulous! !